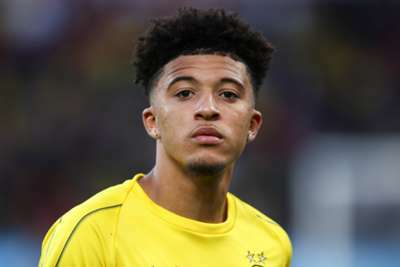 Pep Guardiola does not envisage Jadon Sancho returning to Manchester City, but conceded a move back to his old club could not be ruled out. The exciting winger made his England debut during the international break after making a flying start to the season for Borussia Dortmund. Sancho has provided six assists and one goal for the Bundesliga leaders despite only one of his seven league appearances coming as part of the starting line-up. The teenager has received praise in some quarters for opting to take the risk of continuing his development outside of England after deciding his chances of breaking into the first-team at City would be limited. Guardiola was asked ahead of City's Premier League clash against Burnley if Sancho would ever return to the Etihad Stadium and, while not fully discounting such a scenario, he pointed to the fact Sancho did not appear content at the club.